The lunchbox reinvented: transform the boring routine of your children's packed lunches into cute, edible cartoon characters! Packing school lunches for fussy children can be a chore. Parents are bored of making the same old soggy sandwiches every day, and your picky eaters don’t even show any appreciation when they return their lunchboxes with uneaten veggies and scrappy bits. What if you could entice your children to eat balanced lunches every day? Even better: how do you transform the routine of unoriginal packed lunches into a joy for yourself? and many more edible critters! 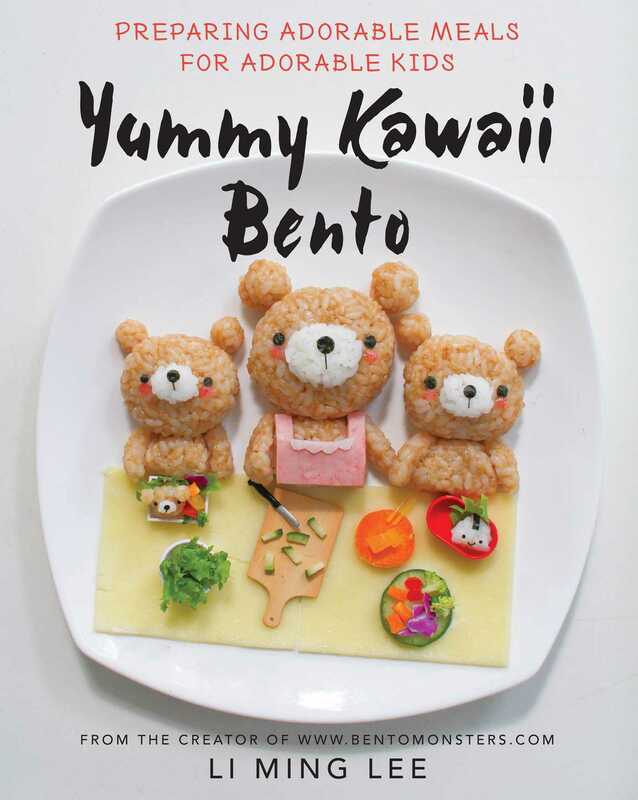 With more than 160 step-by-step tutorials on how to assemble balanced bento boxes, create food art, and cook individual recipes that bridge the East and the West, Yummy Kawaii Bento turns food preparation into an art and makes eating fun again for both parent and child. Soon, your children will boast to their friends about their lunches, and your spouse might even ask for his or her own takeaway lunch! Lunchtime, or dinnertime, will never be the same again.